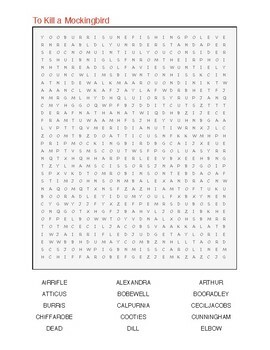 A word search using names, dialogue, and other objects from Harper Lee's, To Kill a Mockingbird. 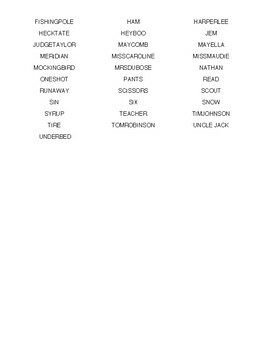 Good for review and for a fun activity when finished with the book. 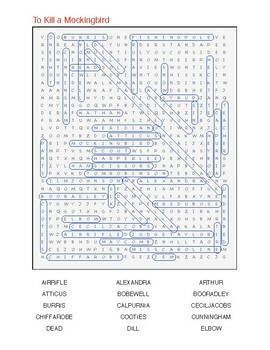 There are 46 words in the puzzle as well as a hidden message from the book.